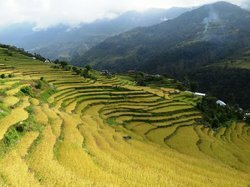 Tours from Nepal Hiking tend to sell out - travelers recommend booking in advance! 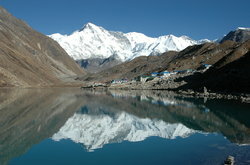 Originally we booked a one day tour with Nepal Hiking. That day was so enjoyed and interesting that we booked with them for the following day. We had the same guide and driver both days who really took care to make sure we saw as much as possible. Our guide was very knowledgeable and showed us so much but gave us time to wander around the sights by ourselves so we could take it all in. Both these guys took extra time without it being a problem which was great. Well paced with friendly porters and knowledgeable guide, we experienced the wonders of this region - people and sites to its fullest. 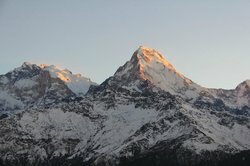 We did the glimpse of Everest which allowed us to see the mountain! Gakol was a very accommodating and flexible guide who was able to balance the needs of 4 very different skill levels. All with his wonderful sense of humor. Guest houses were comfortable and food provided a variety of local and comfort food options. We would use them again. 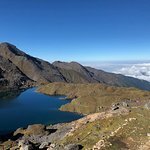 Lantang and Gosaikunda trek is a beautiful 15 days lodge trek. Nepal Hiking organised it very well, the guide Mahendra was very professional and helpful. The porters were nice and serious. The hotel in Kathmandu "Kathmandu Suite Home" is very comfortable and prefect to relax after the trek. 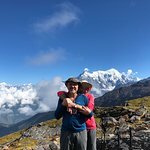 I 100% recommend Nepal Hiking. 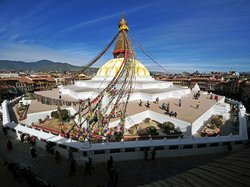 Every tiny detail was organised so well from pick ups and recommendations in Kathmandu to the trek itself. 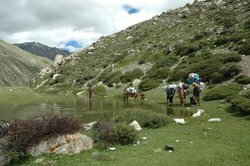 Extremely knowledgeable and experienced guide who talylored the trip to our needs and was flexable during the trek. Bhairam went out of his way to make sure we had the best experience, we couldn't of asked for more! We did not need to worry about a thing just enjoy the stunning views and he always made sure we had a room with amazing views where possible. It was the first time we visited Nepal. It was really great experience. Big tthans to our quide Gakul for his care of us during all trek. We definitetly will come back soon !!!!!! Thank you Tomas for your review. 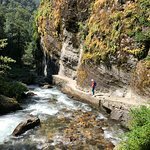 Glad to know you had really a great experience of Sundarijal, Chisopani, Gosainkunda and Dhunche Trek. We can't wait for your next trek with us again. Thank you Jane for your review. We hope to see you again.